Arbor Lodge is located in North Portland, the charming "fifth quadrant" of the City of Roses, offering a comfortable urban community with easy access to downtown Portland and surrounding areas via Interstate 5. Arbor Lodge is a diverse community that has truly blossomed in the past few years, due to increased transportation access and the growth of surrounding neighborhoods, including the Alberta Arts District, Mississippi District, St. Johns Neighborhood, and Kenton Neighborhood. North Portland is a unique place where you'll always find something going on, from block parties to excellent live music. Arbor Lodge is situated near the Interstate MAX light rail line, so you can explore the best of Portland without a car. The Arbor Lodge neighborhood is full of community resources, making it a gem within the Portland Real Estate market. Portland's locally-owned New Season's market, a thriving branch of the Multnomah County Library, a newly-remodeled Fred Meyer, and an influx of small-businesses including restaurants, food carts, boutiques, coffee shops, and specialty stores provide the area with everything residents need. Because members of the Arbor Lodge community are surrounded by neighborhood resources within walking distance, you'll be able to meet friends and neighbors on the street, walking their dogs and appreciating the small-town atmosphere. North Portland is quickly becoming recognized as a thriving part of the Portland culture - this "fifth quadrant" is refusing to be ignored, and you shouldn't overlook the historic charm and peaceful neighborhoods of the North in your home search. Arbor Lodge is located in the North section of Portland, Oregon. The Arbor Lodge neighborhood boundaries are Interstate 5 to the east, N Lombard St to the north, N Wilamette Boulevard to the West, and N Ainsworth St to the South. 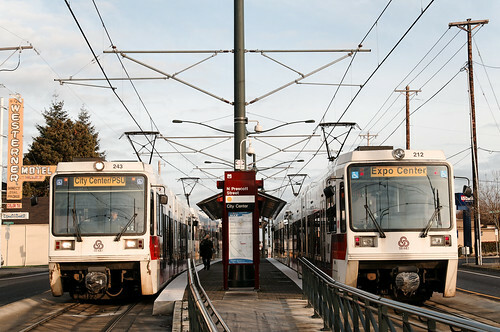 The North Lombard Transit Center and the North Portland Blvd stations on the MAX Yellow Line provide light rail service to the neighborhood. Arbor Lodge is served by several excellent public shools, including Chief Joseph Elementary, Open Meadow Middle School, Peninsula Elementary, Jefferson High School, and Portland Community College's Cascade campus. Real Estate in North Portland has been booming in the past few years, but the Arbor Lodge neighborhood has kept its working-class charm and accessible attitude. Arbor Lodge’s home styles include Portland’s classic Craftsman Style Bungalows, cottages, Old Portland style homes, and other medium-sized one and two story residences. Though many of the Arbor Lodge-area homes were built after WWII, you can still find plenty of character and charm surrounded by mature trees and amazing neighbors. To search for homes for sale in and near Arbor Lodge, check out the McDonald Group Realtor's Portland Real Estate map search. The communitiy is very restoration- and rennovation-minded, so you'll find plenty of support for your fixer-upper, including the Rebuilding Center. The ReBuilding Center is a non-profit used building materials outlet, perfect for finding everything from rough cut lumber and bamboo poles to beautiful antique fixtures and hardware. Part thrift store, part treasure hunt, and part hardware store, this is the go-to place to find salvaged building and remodeling materials. There’s a reason you see bumper stickers around town that proclaim that drivers love this place. You have to be willing to dig a little, but everything is logically located and labeled, and the staff is fantastically friendly, so you’ll be sure to find inspiration for projects big and small. Plus, the prices are so low, you’ll leave with enough to keep your home improvement muse happy for weeks. Arbor Lodge Park - N Bryant St & Delaware Ave - This neighborhood park near Chief Joseph Elementary provides a perfect spot for family fun. Amenities include a new children's play area, restrooms, dog off-leash area, horseshoe pit, paved walking paths, picnic tables, soccer field, softball field, and a lighted tennis court. This will definitely become one of your favorite neighborhood spots! 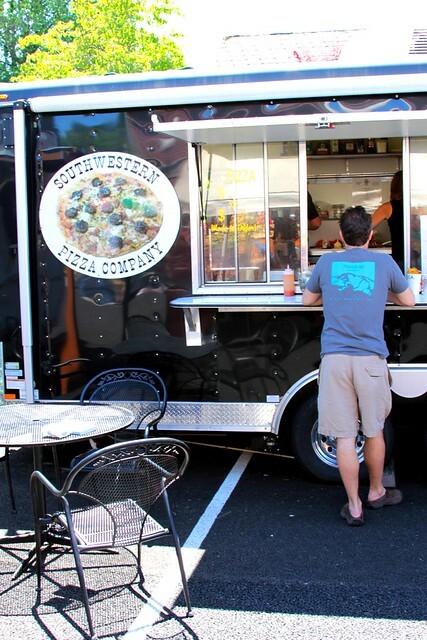 North Portland and the Arbor Lodge area are home to some of the best food carts in Portland. Our favorites include Flavour Spot , The Sugar Cube, The Big Egg, Moxie Rx, Native Bowl, Garden State, and The Ruby Dragon. According to Budget Travel magazine and CNN.com, Portland is the number one city in the world for street food, beating out the best of the rest. Portland’s food cart scene pulled ahead of fish tacos in Ensenada, bacalaítos in Puerto Rico, grilled-shrimp skewers and churros stuffed with dulce de leche in Rio, Belgian frites and grilled meat in Marrakech. The amazing thing about Portland’s street food is the variety. No one can pin down a cuisine or specialty dish that Portland’s carts are known for because we’ve got just about everything, from around the globe via the wackiest imaginations. We’ve got everything from Eastern European dishes, bacon and nutella sandwiches, and Korean tacos to burgers sandwiched between grilled cheeses, vegan poutine, and Carolina-style barbecue out of a truck. Smiling, faces, micro beers, fine wines, good home cooked food like Mom’s. That sums up the Mock Crest Tavern. They have a clean and cozy atmosphere, exceptional table service, comfortable beer garden and an eclectic bunch of regulars: blue and white collars, boarders, young, old; everyone’s welcome! Every Thursday night they host live music with “Never a cover!” they say. Probably one of the best pros for this place: they have free wifi, and laptops for their customers to use to connect to it. No more toting your own computer with this place! Fantastic food Pizza Fino’s has, along with unpretentious yet attentive service. Labeled as a casual neighborhood restaurant, they have an ever changing list of wine, beer, and cocktails. Try more than just the pizza. They have a seasonal salad with an amazing pomegranate vinaigrette and grilled pears, a pumpkin soup with a balance of flavors, and savory ravioli that can be a perfect treat for a cold night. It’s a reasonably priced combination of local flavors and Italian cuisine that keeps its customers raving. Authentic Mexican food makes this restaurant a true gem for the North Portland area. Service is always great, with hot and fresh chips paired with tasty salsa and your drinks will never be left empty. Don’t know what to order? Try the sampler platter. You’ll get fresh rice and beans, perfectly made chili rellenos, and enchiladas stuffed with fresh white chicken breast. This is definitely a place you’ll come back to many times, and it’s not just because you enjoy the made-to-order giant margaritas.